If you use the Internet for more than 1 minute a year, then chances are, you have seen an icon that says "RSS" or "Feed." These pretty icons are intended to make our lives easier. Most of us have websites or news that we like to read every day. We may go to many many different websites every day to stay updated on what is going on. Wouldn't it be easier if we could do that with a single page? There is! That is what the pretty RSS button is for. If you have never used it, you should. I will show you how. 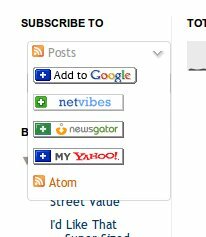 First thing you need to do is find the "RSS" or "Subscribe" icon on the page. Almost all blogs (including this one) have an icon for you to subscribe to the feed. 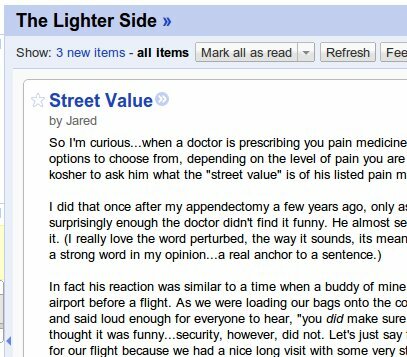 http://jaredslighterside.blogspot.com/ is a great humorous blog that I love to read. It is not updated every day though, so I am subscribed to it so I get to read new posts when they are put up. Once on the page, you just need to click on the "Posts" button to subscribe to all the posts. Once you click on the icon, it will ask you what RSS reader you would like to use. I choose Google because I am in love with Google. 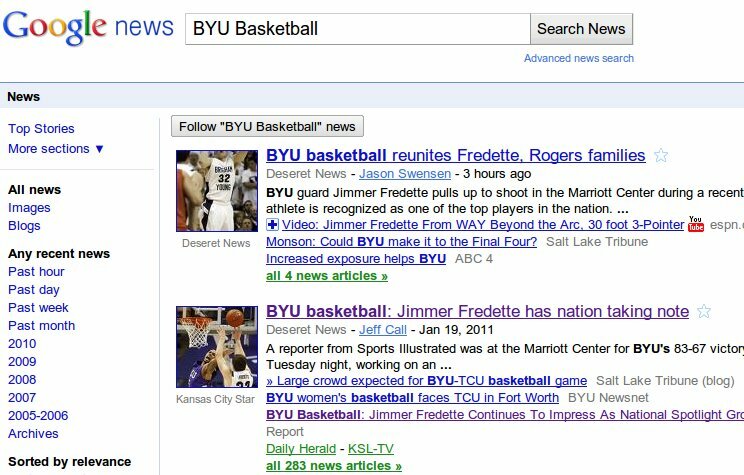 Google gives you an option to add to your Google homepage or to Google Reader. Choose Google Reader. Once you click on that, it will take you directly to Google Reader and show you the feeds. In Google Reader you can see how many unread items you have. It is kind of like email. Super easy. Additionally, Google reader allows you to add a subscription if you have the URL. What Do I Do If I Can't Find the RSS Icon? 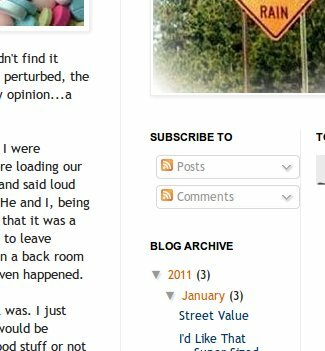 Then add the complete URL (http://jaredslighterside.blogspot.com/feeds/posts/default) to your RSS feed reader. This is even easier to do for Wordpress blogs. 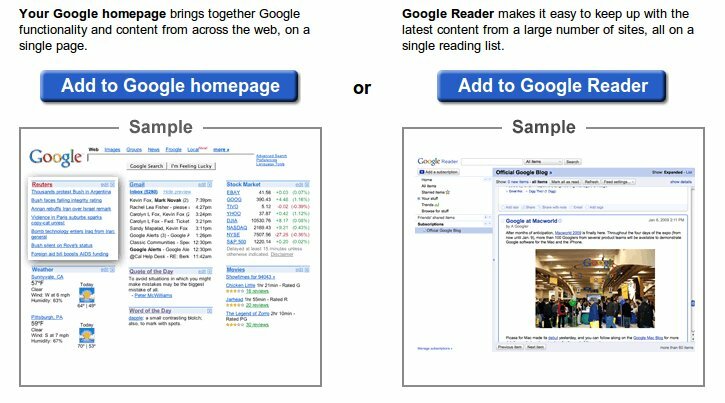 If you use Google Reader though, just try adding the website; most of the time it will work without you even needing to add anything to the end of the URL. This works for almost any website with an updated homepage. Try just adding the website url to the feed; most of the time it will work! They all worked! Yes! I was surprised to learn that homestarrunner.com somehow had a feed... if I had only know this years ago. I was a bit surprised at what I could add as a feed. I think you might be too. Just give it a try! 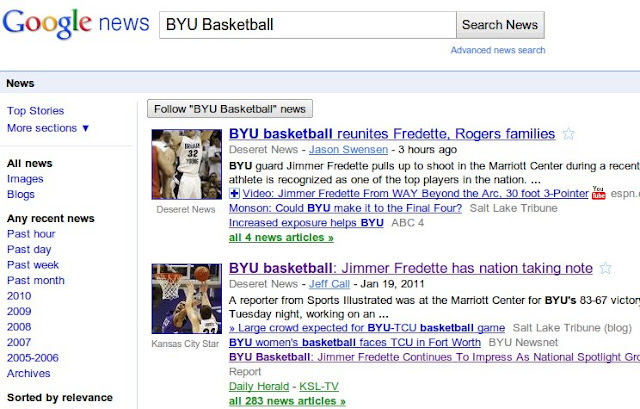 Something else that is great is that Google will allow you to add a search term in Google news as a feed. Just add a search term and press the "Follow "Whatever you typed" News" button. Play around with it. If you have not tried RSS yet, give it a few days and you will be hooked! Mckay, this is Heidi Beddoes. this blog is my new friend. you are answering all the dumb questions i don't ask in part because I don't know what to ask. I have linux and I can't wait to try some stuff in the Gimp now. thanks! And, i'll be subscribing, if that's ok.
Hi Heidi! That is cool that you have read some of my blog. I think that is great that you use Linux! Hope everything is going well for you. If you have any suggestions for my blog, please let me know.